HomeHow to Become an Olympic Athlete by Training One Day Per Week! How to Become an Olympic Athlete by Training One Day Per Week! My good friend Tod Huston recently wrote a blog post that caught my attention and whose title has stuck with me for a while. Particularly in light of last week’s message here at Trinity Church (Garbage In- Garbage Out) about the importance of what sorts of things we fill our lives with, I thought that some of you would also find Tod’s words to be timely. Sounds pretty ridiculous doesn’t it? 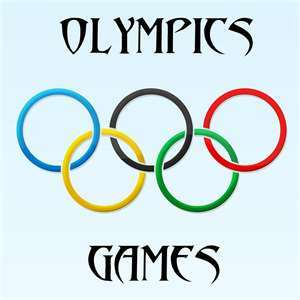 I am pretty confident that no athlete who participated in the recent summer olympics in London made it there on such a training regimen. equally unlikely is the potential of keeping a marriage alive on the basis of the following; “I told you I loved you the day we got married and if it changes I will let you know.” i also doubt that reserving the words “I Love You” for a single day of the week, in a specific room in your home, at a predetermined time will keep the fires of relationship lit. In the world of worship do we not find ourselves adopting a similar approach? How to be an Olympic Athlete by training one day per week! ← Ahimaaz – Patron Saint of Cross Country Running?